Using an outside Recruitment Process Outsourcing (RPO) firm can help businesses with diversity and inclusion because it’s a personalized and customized way of meeting hiring needs. In addition to professionally creating best practices to ensure your workforce is maximized in top performing talent, the RPO firm will incorporate diversity and inclusion. What is Diversity vs. Inclusion? While diversity and inclusion are often linked together, they work in two different ways. Specifically, diversity is the mix of individuals or groups that create differences throughout all levels of an organization. This could be a workforce that has many different skills, different education levels, and different physical abilities. Inclusion is often an organization’s cultural value that seeks to eliminate bias through the sharing of varying backgrounds, ideas, identities, and perspectives for greater understanding and to create a workplace where all are valued. How does Workplace Diversity and Inclusion Affect Your Team? According to NeuroLeadership Institute JOURNAL, "Diverse and inclusive teams are smarter, more creative, and make better decisions." When individuals who are working in a diverse and inclusive environment, they feel safe and don't have a fear of experiencing negative repercussions if they choose to be themselves or voice their opinions. In these environments, everyone is encouraged to share in the ways they feel most comfortable and to the fullest extent. One critical thing to remember is that if your company is not actively working to include every member of your team, then you're inadvertently excluding them. You can fully embrace the power of diversity when you work with a foundation of an inclusive environment. The best way to experience enhancements in inclusiveness is to communicate that everyone is involved in inclusion. How Does It Affect Your Recruiting? It's important to recruit, hire, and retain individuals with diverse backgrounds not only because it's a smart business decision, but also because diverse teams bring a variety of ideas and perspectives to the table. The ultimate goal is to create a dialogue that will challenge the status quo and help develop the highest quality product or service. By establishing a diverse team filled with a variety of people each with different perspectives, it's possible to achieve these goals. Not only is diversity and inclusion good for your company's bottom line, but it's also excellent for team morale. You'll also be looking at compliance issues at an increasing rate, as well. Because society is continuously evolving, your business is going to experience more expectations. That being said, you may have some difficulties navigating through some of these areas of compliance. It's at that point where working with an RPO partner is beneficial and adds value to your business. How Can RPO Help This? According to research performed by McKinsey in 2015, "Companies in the top quartile for racial and ethnic diversity are 35 percent more likely to have financial returns above their respective national industry medians." 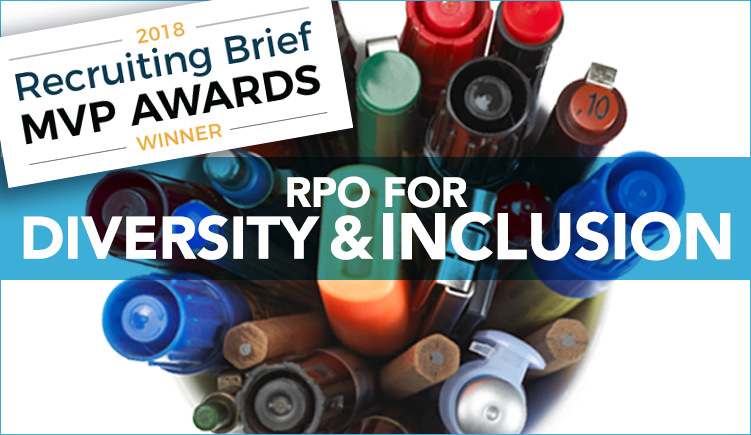 Because we can see that a diverse and inclusive work environment is sound financially and strong in principal, it makes sense to use an RPO firm to attract, source and deliver a qualified selection of diverse candidates that fit your culture and business needs. In doing so, this work culture will lead to a thriving work environment filled with collaborations, as well as a brand that is more attractive. In addition to those attributes, the company will also experience a stronger sense of engagement, as well as a greater sense of belonging among employees. 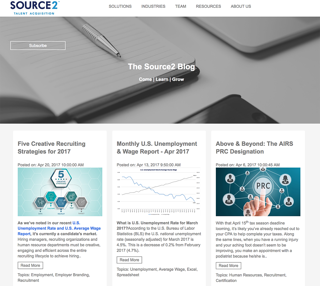 For more than a decade, Source2 has worked with clients who want to streamline their recruiting processes so they can focus their efforts on their company culture and initiatives. 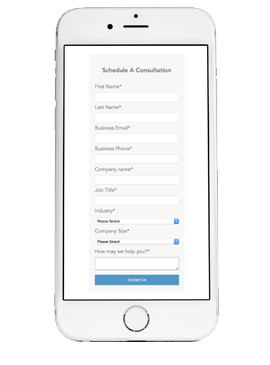 Contact us now to discuss how a customized RPO solution can fit your needs.